While finding a home for animals is one of our top priorities, finding the right home for an animal is also of the utmost importance. So when Cate the cat’s adopter returned her after nearly a year together, it was clear that the finicky feline hadn’t found her perfect fit. Fortunately, a second adoption was all it took to find this pretty kitty the lifelong home of her dreams. Here is Cate’s Happy Tail. 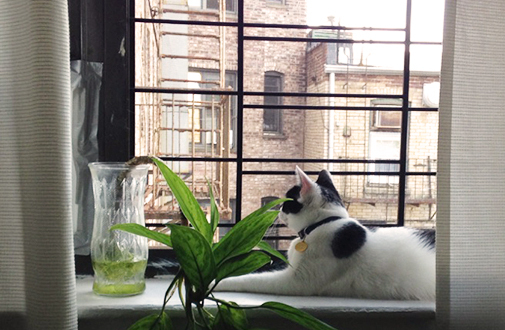 In March 2014, Cate was one of seven cats rescued from the home of a hoarder in Queens, New York. She spent at month at the ASPCA Animal Hospital, where she received routine vaccinations before being transferred to the ASPCA Adoption Center. After less than four days, she was heading to a new home. We were excited to see Cate find an adopter, and even more pleased when the remaining six cats from her rescue group found homes as well. But then, in June 2015, she was suddenly returned. The adopter had tried his best with Cate, but she just wasn’t settling into his home and was suffering from dietary issues, diarrhea and litter box problems. Despite—or perhaps because of—a lifetime of neglect in the hoarder’s home, Cate was clearly picky about where she wanted to end up. Unfortunately, that meant she was back at square one in her search for an adopter. 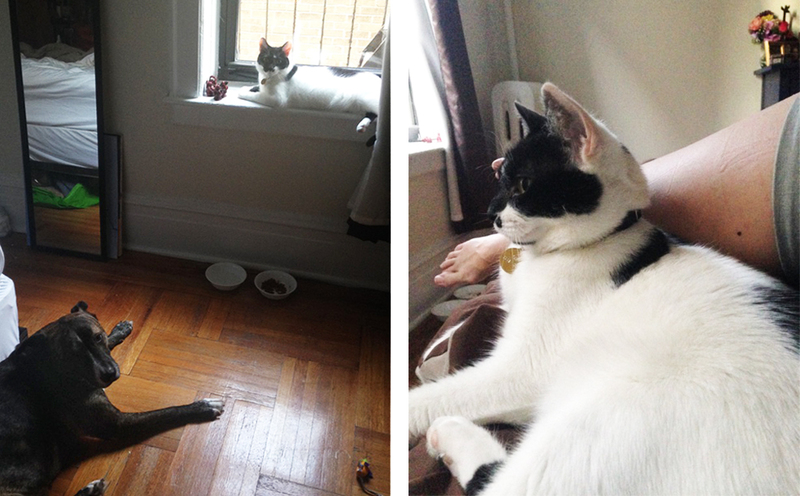 In the months since her adoption, Tami has only grown happier in her new life. “She is laid back but energetic, curious about everything and is an all around sweet, sweet girl,” Meagan beams. “She loves to be around people and will almost always choose to be in the same room as me.” Tami also loves to spend her days perched on a windowsill or hunting flies in the apartment, and she spends each night snuggling with her new adopted mom. She even wakes Megan up with kisses in the morning! Although Tami may not be able to speak, she delivered her message loud and clear: Megan’s home is the home of her dreams. 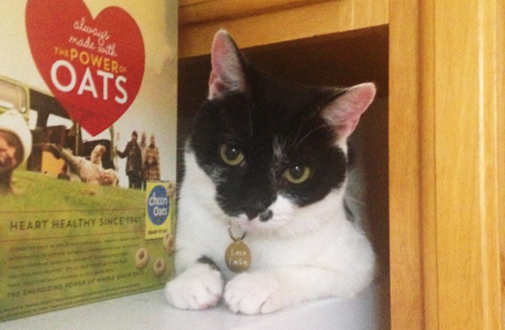 After a rough start to life, we could not be happier for this special cat. Congratulations, Tami!